New Delhi: Ayurvedic and allopathy treatment clubbed together would be available to the patients coming in hope for getting better through holistic cure at a centre at AIIMS inaugurated by Health Minister J P Nadda. In his remarks on the occasion, at ”Ayush” block , an ayurvedic treatment centre at Centre for Integrative Medicine and Research in All India Institute of Medical Sciences said, ”These were Prime Minister Narendra Modi’s efforts that a yoga centre is coming up at the AIIMS and for the first time allopathic and ayurvedic treatment would be intermixed and a holistic cure would be provided to the needy”. Counting the benefits of Yoga, he said,”Non-communicable diseases like diabetes and cardio-vascular diseases which originate from following a sedentary lifestyle can be easily cured by practising yoga.Yoga has given a very good response in treating malignant as well as benign conditions which gave us encouragement to establish this centre. ”The practitioners at ”Ayush Block” will give mixed treatment of allopathy and Ayurveda to the patients combined with yoga which will be cost effective with absolutely no side-effects, less time consuming and assuring of more than 90 per cent recovery,” Dr Nadda said.”The aim would be to bring ”education”, ”research”, ”service” at the doorstep of the patients. 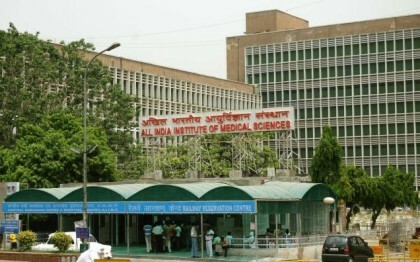 To bring best of both the system of medicines to the needy”, the Health Minister informed.Describing the opening of the centre a path-breaking historical occasion, Dr Nadda said, ”This is indeed a landmark moment as integration of two system of medicines is taking place at the country’s most prestigious institute, the AIIMS. For long, health care system has been silent. This is an opportunity to ”combine” and ‘intermix’ these complete altogether two different systems of medicines and evolve an ‘analysis’ system to see how through their combination best treatment can be achieved.Stating that the ‘integration’ was not an easy task, the Health Minister said,”We encountered negation for this initiative. It was hard to to take the step. The attitude of the people was ”home remedies are the best cure and would not go for any other alternative. ”Documentation or proof was required at every step which was made available and apprehensions settled. More than 20,000 patients were screened for diabetes and it was proved beyond doubt that they could be treated through yoga.”On PM Modi’s efforts to get any one day recognised as International Yoga day the world over, Dr Nadda said,” PM’s hard work to get Yoga its due attention as a spiritual practice to cure all ills have borne fruits as United Nations has decided to mark June 21st at the International Yoga Day world wide. This year is the second year of observing Yoga day throughout the world.”Claiming that medical science has won the battle over communicable diseases by fully controlling them through medication and other scientific means, the Health Minister said ”in case of non-communicable diseases, we are entering into a trap. By opening of this AIIMS centre, we are focussing on the ‘preventive part’ and developing healthy lifestyles.””Yoga has been made a part of our natural consciousness and this holistic and ancient and scientific practice of freeing body naturally of all diseases is a boon to all not costing a penny, very effective , no side effects and just less time consuming”, the Health Minister opined.